Situational awareness: The most important dinner this weekend will be the one at the G-20 between President Trump and General Secretary Xi Jinping. 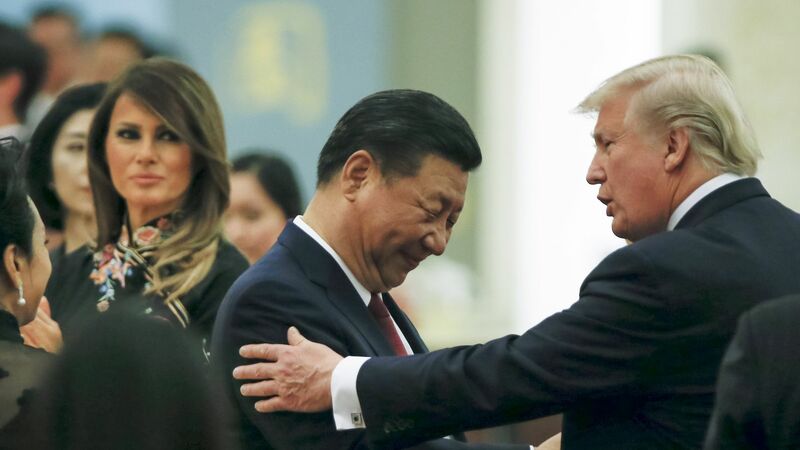 Both the Wall Street Journal and Bloomberg have stories suggesting that the U.S. and China may reach a ceasefire deal over the dinner between President Trump, General Secretary Xi and their respective teams. A group of leading China specialists and students of one-party systems under the auspices of the Hoover Institution and the Center on U.S.-China Relations of the Asia Society have issued a long report titled Chinese Influence & American Interests: Promoting Constructive Vigilance. The big picture: It comes at a time when many Western governments, led by Australia, are waking up to the activities of the CCP inside their countries. Between the lines: The report is interesting, balanced, timely and has some good ideas about how to deal with the threats. But I do not like the title. It is a mistake to talk about “Chinese influence” when the issue is Chinese Communist Party influence and interference operations, as just saying "Chinese" is a dangerous conflation that can spark anti-Chinese sentiment. To paraphrase Confucius, names matter. "The great significance of this report is that it shows how the China-watching community has turned." "The experts across the United States and further afield who came together to write this report are by no means China hawks. This group has been leading the engagement effort over many decades. These are people who share a great commitment to China and its people, without exception." "But gradually, and reluctantly, they have accepted — we have had to accept — that China under General Secretary Xi Jinping is materially different to the China we knew under Jiang Zemin and Hu Jintao." "The liberalising forces of civil society and market economics are not prevailing. The possibilities for reform have narrowed, and they have been pushed further over the horizon, and the risks to our own open societies have grown." "So the policy of engagement has to be coupled with a commitment to managing risk." Why it matters: The official Google story keeps unravelling as more current and former employees with knowledge of the project start talking, giving the impression at least that Google management was trying to hide something. Several hundred employees have now signed an open letter calling on the company to "drop Dragonfly." Others Google employees have signed an internal letter in support. "Yonatan Zunger, then a 14-year veteran of Google and one of the leading engineers at the company, was among a small group who had been asked to work on Dragonfly." "He was present at some of the early meetings and said he pointed out to executives managing the project that Chinese people could be at risk of interrogation or detention if they were found to have used Google to seek out information banned by the government." "Scott Beaumont, Google’s head of operations in China and one of the key architects of Dragonfly, did not view Zunger’s concerns as significant enough to merit a change of course, according to four people who worked on the project." "Beaumont and other executives then shut out members of the company’s security and privacy team from key meetings about the search engine, the four people said, and tried to sideline a privacy review of the plan that sought to address potential human rights abuses"
"Anybody who does business in China compromises some of their core values," Hennessy said in an interview this week with Bloomberg. It's true for every company "because the laws in China are quite a bit different than they are in our own country," he said. ICYMI: Chinese scientist He Jiankui announced earlier this week that twins were born after he used the gene-editing tool CRISPR-Cas9 to cut the CCR5 gene that's known to play a role in HIV infection, Axios' Eileen Drage O'Reilly notes. "He stirred even more dismay when he mentioned the possibility of a second pregnancy." My 4X per week Sinocism China Newsletter, now with a special 20% discount for Axios readers.